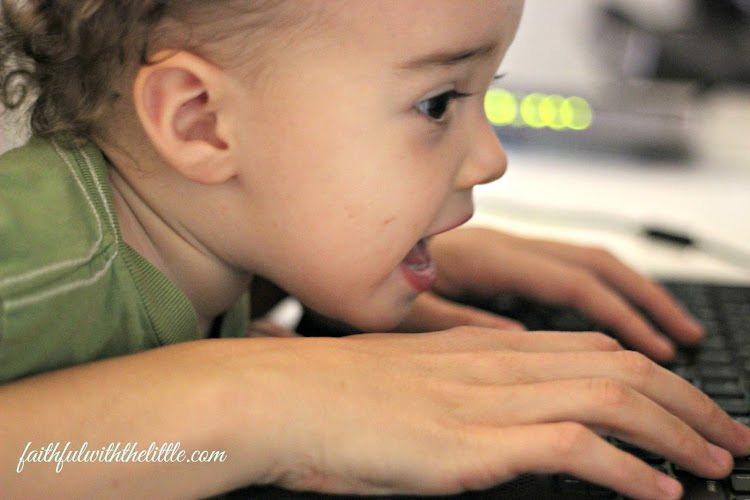 If you would have told me when my husband I began our family that I would be blogging now that I have 5 children I would not have believed you or thought it possible. I am not a tech savvy person at all, I don't type very fast and I don't have a lot of time to spare...but here I am. I am no great writer and my grammar and punctuation have much to be lacking... but I love to write. I have journaled since I was 9 and always found that I can articulate my thoughts much better through the written word than the spoken. I often stumble over my words and can't think of a word when I am speaking but when I am writing I can take my time to write exactly the right word to explain what I want to convey, well most of the time. Oh and editing is a huge plus. 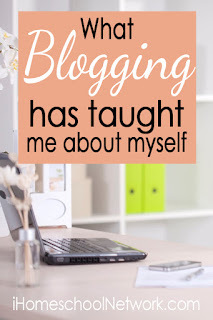 Though I am slowly learning the ins and outs of blogging, it has become an integral part of my life now and has helped change the way I feel about being stuck at home. You know when you are having company over and you clean all day to welcome your friends into your home? Well that's how I feel about my blog. When I know that people are reading my posts it motivates me to get things done that I wouldn't otherwise. I can be very self motivated in some areas of my life, but there are other parts that I could definitely use some motivation and inspiration. The more I blog and the more I read other blogs the more I have realized the importance of being genuine and authentic. If I tell you what I am trying to do and what God is teaching me to put into practice, it really helps me to put action to my words when I know that others are reading what I am writing. I taught a middle school girl's Bible study for over 10 years. Teaching and encouraging young girls to live for God was so instrumental in me living it out myself. Not only does sharing with others about my faith and family hold me accountable but it helps me to dig into God's word even deeper. Just as I did in the Bible study I want to make sure I show myself approved before I share my faith or any topic with you. I am truly blessed with many friends. I cherish the women and other mamas that God has put in my path. There were many years when I craved for the edifying and beautiful friendships that I have now. I love those spur of the moment or planned times when a friend drops by with their children and we enjoy sweet fellowship together or when I have been stuck in the house for too long and we are able to meet up without any kids. With 5 children in tow, I don't get out as much as I used to and with so many little ones someone is always sick, so I am often home for long periods of time. Being able to connect through blogging with other like minded women of faith is so encouraging on those days when I feel alone and need some adult interaction and feedback. I love that I get to stay home with my children. I know that there are many mamas who wish they could. Some days I feel like even though I am with them all day, it's not enough and then there are those other days when they drive me crazy and it's really hard to be with them all day no matter how much I love them. Being able to share about my experiences as a mama, wife and follower of Christ with other women who desire to be faithful in these areas also has blessed me tremendously. I get so encouraged when I, in my small way can encourage other women. It's funny how now that I have more to do, I feel like I get more done because I am more conscious of how fast time is going by and is not to be wasted. You would think that with all I have to do I would never get bored, well I do... bored of doing the same things over and over again. Though I am never lacking things to do, I easily tire of how repetitive and unexciting they can be. For example: Cleaning up constant spills, loads of dishes and laundry. You get the picture. Having creative outlets at home has helped me to not only be productive but stimulate my mind as well. I love being able to express myself through photography, writing, decorating, crafty projects and cooking. Blogging gives me a way to combine and share all of these hobbies and ideas without leaving my home. Growing up all I dreamed about was meeting the right man, getting married and having a house full of children. Well, I am certainly living out my dreams. What I never counted on was that I would not always be content at home. Many times I have found myself jealous of those who are traveling around the world, involved in different ministries and pursuing degrees and careers. Here I am doing what I have always wanted to do but the sometime mundane and monotonous routine of cleaning, cooking and temper tantrums often wear on me. In this season of my life with a nursing toddler and a three year old that still needs to nap, I am not able to be involved that much outside of my home. I feel that the greatest way I can serve God during this time is right here...in my home to my husband and children. On those days when my husband has to work long days and nights; I can start to feel trapped at home. I used to get so frustrated that I was stuck at home most days. I know my husband would feel my resentment at times towards him and the kids. Blogging has been a way for me to have a creative outlet while still meeting the needs of my home and family as long as I am careful to find the balance. I feel that when my husband comes home now, I don't grumble and complain about being home all day because I have already let off some steam blogging and have received so much encouragement and inspiration through the blogging community. Being busy at home has never been a problem for me but now I feel I am more productive and in intentional about the way I am busy. I don't know how much I will always be able to blog or how long, but for now I am thankful for the opportunity and platform that God has given me to encourage and connect with other women that I wouldn't normally be able to...all around the world... right from my home. I know I will always struggle with contentment until I reach my eternal home but in this season of my life I can truly say that I have come to love being home most days. Loving on my children and husband, finding new ways to make our house a home, and sharing my desire to be faithful at home with you is a blessing and a joy that I cherish and delight in. If you blog, have you found blogging to have helped the way you feel about being home? Linking up with some of these amazing link parties. Yes, you never know who you can encourage when you share your heart and your struggles. I know you have encouraged me by your kind words! I totally feel the same way! Thanks so much for sharing your thoughts! Authentic and accountable. That's my favorite part. Blogging and writing can turn some of the loveliest of ladies into fake ladies. It sounds like you've found that sweet spot and are letting God and your blog shape you into a beautiful young lady (inside and out). Thank you for sharing this list. May it inspire many work-at-home and blogging mommies. I can see how it can be easy to fall into a trap of being a know it all and not real. I have really been trying just to share from my heart and make it clear that I do not have it altogether. Thanks so much for your encouragement! I totally relate to this! You aren't alone in your feelings! 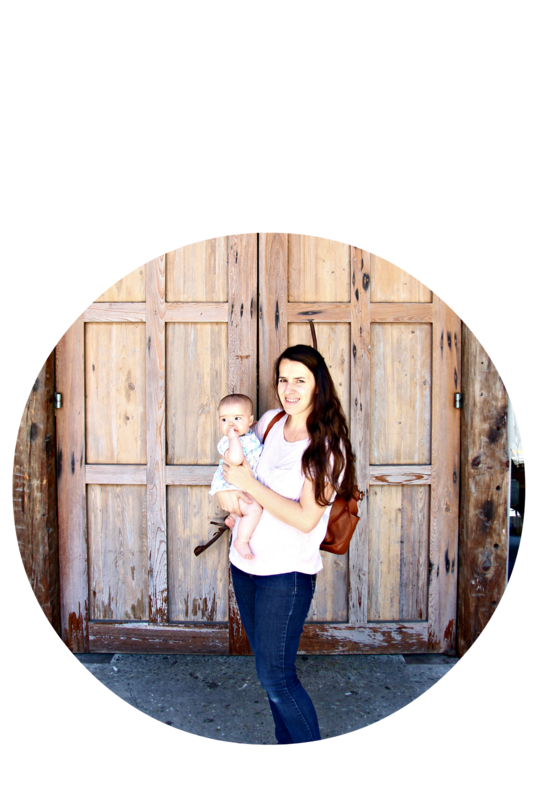 I like blogging because it lets me have something outside of being a mom that doesn't require you to travel and miss out on your little ones. Thanks for sharing! Visiting from #gracesndtruth. I saw your title and as drawn to read this because I can relate! It's s nice to know I'm not alone! Glad you can relate! Thanks so much for letting me know! Ah yes, its so nice to know we are not alone! So glad we can encourage each other! I completely agree! It is so amazing how wonderful blogging is and what a good thing it has been for me- never would have imagined this! Funny how God blesses and uses us in ways we never could have planned! Love this! It has given me an outlet as well, but I also have to make sure I find balance with it! I have had the same thoughts through my years of blogging. As Stasia said, sometimes it can be difficult to balance everything, but when we find the right balance, blogging can be a huge blessing! Thanks so much for linking up to The Artful Homemaking Link-Up! Yes, I have definitely had to learn self control and know when to turn off the computer and phone. As with anything in life we have to make priorities and not get obsessed with our outlet's. Yes! 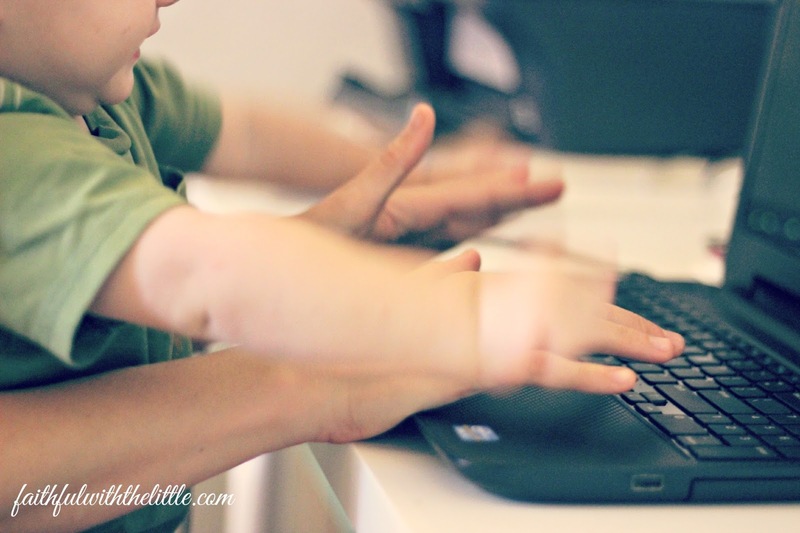 As wonderful as staying at home with my sons is, blogging has been such a blessing because it gives me a great creative outlet. 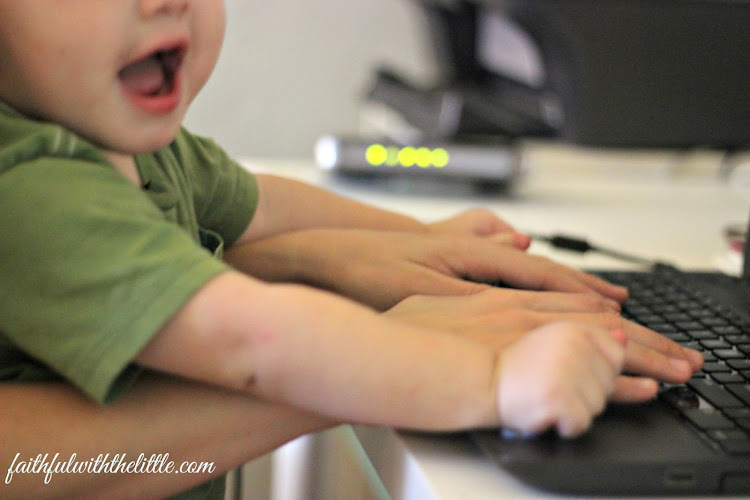 Working on art projects and playing games with our toddler makes me "think creative", but I really enjoy the writing and design elements of blogging. Thanks for this post! I totally agree! Stopping by from Mommy Moments. It's a lot of work but also a lot of fun! Thanks for visiting! Yes! I agree! Blogging has helped me become more content with being at home too! I love the outlet it provides and the connections I've made. What a bunch of great reasons to blog! Hi, Rebekah. I'm a fellow Christ-loving mom of 5! I still consider myself new to blogging and therefore still learning to balance it all. Nice to read another woman's perspective on the blessings of it. Visiting from Tuesday Talk. Awesome! Yes, its great but I'm learning it requires a lot of self discipline. I can identify with the blessings of blogging! It's a path I never foresaw, but I'm thankful for the way God guided my footsteps. Thank you for being part of our community at Grace & Truth! God's plans are always different than ours...but way better. I appreciate you stopping by! Found your blog through Time Warp Wife! I love this post and it has really inspired me and helped me see that blogging can be so much more than I ever realized. I am going to do my best to set aside some time over the next few days to go back through some of your old blogs posts and get to know you better. Awesome! Looking forward to getting acquainted;)! This really puts it all in perspective. I've wondered just why it's so important to me since my blog is so small. Yes to all of this! Blogging really does help me focus and to feel so blessed. I still pray and long for some of those beautiful, edifying friendships, but I know that takes time to develop. I love the blogging world. My one big wish is that some of the bigger Christian women's message forums were still out there. I remember my mom and older cousins participating on homeschool and young wives' groups and the like, but those just don't seem to be around anymore. I pray you make some meaningful friendships outside of blogging but so glad you have made friendships here in the blog world:) I know there are a lot of mommy groups on fb if you are on there. Thanks so much for your perspective. I am just starting my mommy blog. I have been worried about how much time it may take from my family, but you are showing you can do everything with balance. I am already seeing some of the fruits you mentioned. It is hard and you have to be careful to prioritize your family but it's so great to have an outlet as long as it's in its rightful place! Hope you are able to find what works best for your family! It's so good to have something to inspire you and help you be held accountable isn't it?! Thanks for sharing this. I love that you are letting God use you, right where you are. I think it's amazing to see other bloggers finding contentment and and joy through blogging! Oh goodness, I love this post so much! I completely agree - blogging regularly and with a purpose has made me feel like I have more of a purpose as a SAHM other than just being a mom, wife, house keeper.